In three straight competitions the Canby High dance team picked up a slew of first place finishes. This comes on the back of a season where Canby won its fourth state title, and the dominant Cougars show no signs of slowing down. 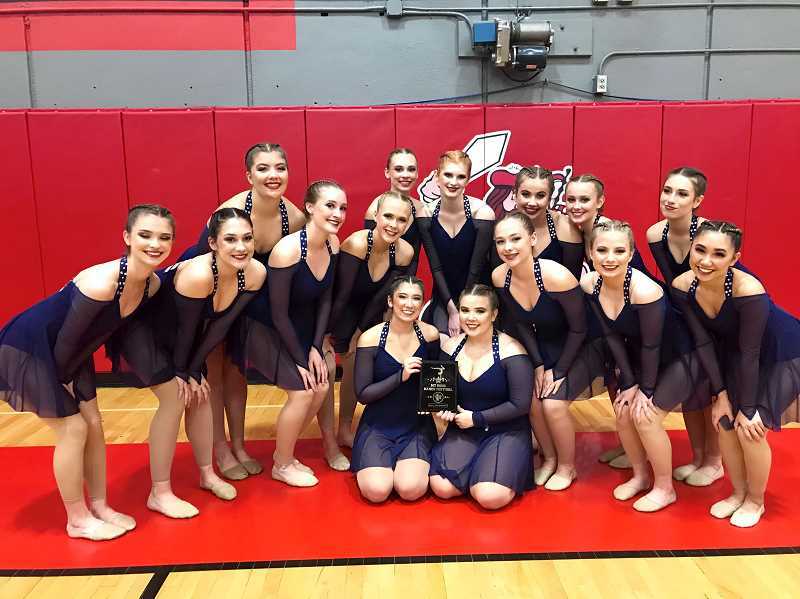 In the David Douglas Competition on Saturday, Nov. 3, the Canby dance team took first place in the Modern, Novelty, and Contemporary divisions, including several dancers placing in the top 10 of drill downs. Sarah Bighouse was in the novice drill down, and Kaitlin Gartrell and Sophie Reed were in the advanced drill downs. On Saturday, Nov. 10, the team swept the same three categories at the Wilsonville Competition. Elizabeth Dula was the lone dancer to place in the top 10 novice drill down, but four of the dance team placed in the advanced drill down: Gartrell, Sarah Patton, Alison Bighouse, and Ainsley Beck. At the Reynolds Competition the weekend of Nov. 17, the team once again swept the categories, and this time with Cassidy Phelps, Patton, and Sarah Bighouse placing in drill down. "We have had to work very hard to be ready for each competition," Canby dance coach Jennifer Chaffee said. "We have been working on some of these routines since August to learn them and clean them and get them ready. In between learning competitive routines, we have performed at every home football game's halftime and pep assemblies. It has been a fun fall season so far." Canby has qualified for the Dance and Drill Coaches Association Category Championships on Saturday, Dec. 1 at West Linn. "We are excited to get to compete in the Category Championships," Chaffee said. "We are currently the Modern Champions and would love to bring home another one. "We will now compete against the top teams in the state in each category, some of the teams we have not competed against yet this season," Chaffee added. "It will be very tough competition as these are the best of the best in these categories."